For all automakers, the need to build a recognizable image depends heavily on visibility of the brand and association with the vehicle. For niche market auto companies, the efforts to build a brand persona cannot depend on word of mouth or the overwhelming testimonials of ownerships. For exotic car companies, the way to provoke desirability in their product is often found in auto racing. Without doubt, the most effective sports car auto company using auto racing to promote their brand, the first Ferrari road cars were constructed and sold mainly to fund a founder Enzo Ferrari’s passion for motorsports. Making the most noise in Formula 1 and professional sports car racing, their outreach brought Ferrari to the pinnacle of exotic vehicle recognition. Starting in 1993, Ferrari began bringing their customers into the action of auto racing. Providing an extravagant connection to the spirit that spawned the Italian auto company, the Ferrari Challenge allows some caretakers of F430 and 458 Challenge-type cars the ability to race in competition with other Ferrari owners. Holding 6 events in 2011, the Ferrari Challenge is staged for the seemingly mere thrill of speed. Maintained by Ferrari North America and the GrandAm organization, the Ferrari Challenge is meant for amateur racers only. While the fraternity of Ferrari owners is limited, the participation in the series is limited only to those possessing a Challenge prepared vehicle and drivers voted in by the Ferrari Challenge Committee. Along with providing selected owners access to professional race circuits including Mazda Raceway Laguna Seca and Montreal’s Circuit Gilles Villeneuve grand prix track, a social element is attached to each race allowing comfort for those preferring the enchanting overflow of Ferrari red. For $110 US, any Ferrari owner can register as a VIP guest for a race day where high-class meals and hospitality rooms. 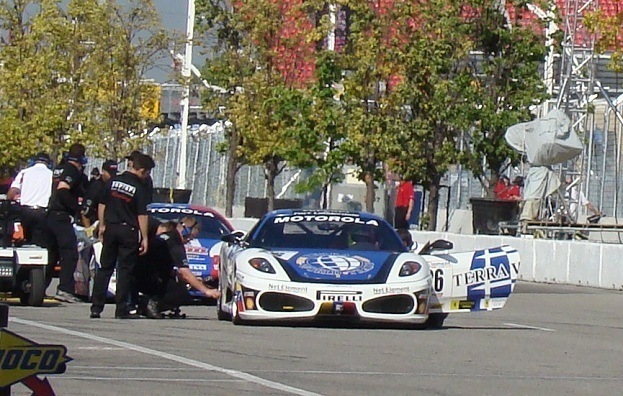 Joining the Honda Indy of Toronto for 2011, the Ferrari Challenge drivers were granted the chance to open up the Italian-sourced supercars on streets commonly left open to commuters and everyday driving. Unrestricted with the absence of other vehicles as well as standard traffic laws, the Ferrari Challenge does exist under a tight set of rules. 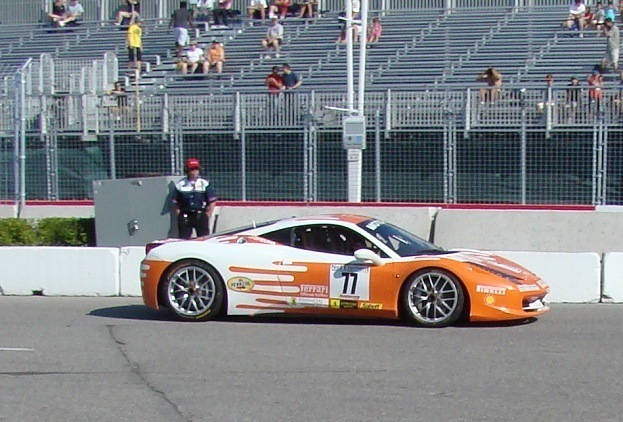 Unlike some production-based sports car racing categories were little elements of latitude eventually totals to a completely different vehicle from the street version, the F430 and 458 cars used in the Ferrari Challenge almost completely stock. 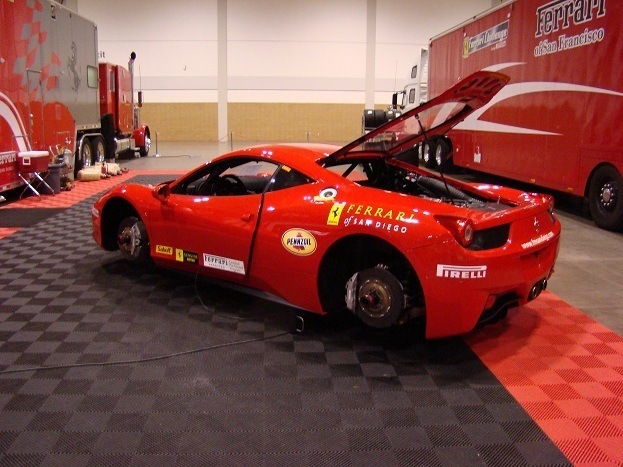 To insure full compliance with the Ferrari Challenge series production car, only factory-authorized Ferrari outlets can make race preparations to the vehicle. Engines are sealed to prevent modifcations and the famous Pininfarina-designed bodies are only allowed to adjustments to exterior livery. The result is a fulfilling chance of an actual, production line supercar in race action. While it is easy to note the drivers are truly gaining the most from the Ferrari Challenge competition, the races present spectators a simmering hot sensation. Fans get the sight of seeing the wedged-like, mid-engined supercars at speeds close to the maximum obtainable by these machines. Hearing the crisp, Italian-bred V-8 engines soaring to the higher echelons of the rev range, we are brought to the understanding Ferrari cars are honestly at home at high speeds. There is certainly some magic on display within the Ferrari Challenge competition. Maybe for the more jealous among us, there could be some pleasure in seeing a Ferrari F430 or 458 Challenge returning to the pits damaged. Based on the soulful creation of each and every Ferrari, such thoughts could border on witnessing cruelty. Brought to North America in 1994, the Ferrari Challenge has given the company a special connection a motoring desire that propelled Enzo Ferrari to construct a sports car that delights so many. No Comments on "Meeting the Race Challenge of Ferrari"